George Johnson was born in Stokesley in 1886, the son of George Johnson, a labourer who had been born in North Anston, Yorkshire and Elizabeth Whitelock who was born in Cold Kirby*. George senior and Elizabeth were married at Stokesley in 1873. Elizabeth (nee Thompson) was a very young widow (about 19!) at the time, her first husband Robert Whitelock having died within a year of their marriage. George senior appears originally to have come to Seamer, Stokesley to work on a farm which was owned first by his uncle and then by his cousin; both these men were named John Johnson and like George also came from North Anston. Through the census returns we can follow the growth of the family; by 1881 when they were living on South Side in the town they already had four children: Alice(8), John (6), Mary (3) and Elizabeth (8 months). They were also playing host to George’s brother-in-law and sister-in-law. In 1891, they were living not far from the Shoulder of Mutton Inn, and although Alice was no longer at home, three more children had arrived: Emily, Sarah and Thomas. In 1901, the family was living in Milburn Yard, Stokesley, and there were five children at home including recent arrivals Margaret, Isaac, the 4 year old George junior and his younger brother Fred. According to the Book of Remembrance George enlisted early in the war, not long after his confirmation in the parish church. He was, at that time, a carter. Official records show he joined up in Middlesbrough as Private 4755 of the Yorkshire Regiment. 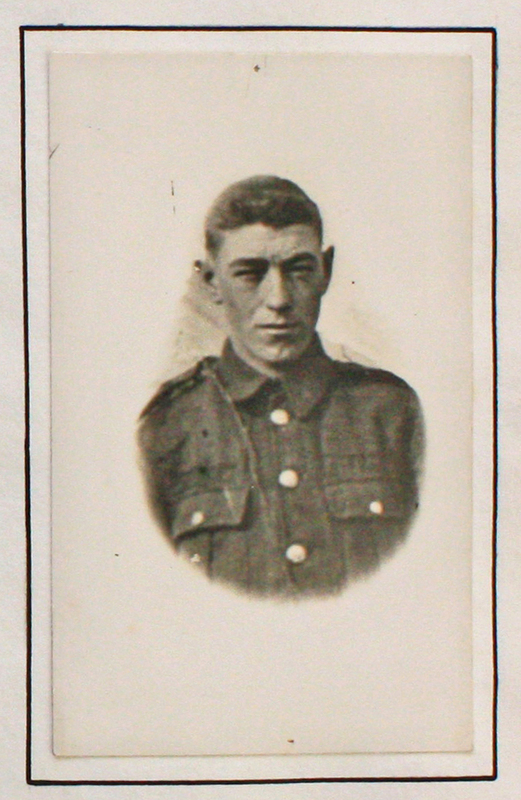 He was one of four brothers who served in the war, but George was not sent abroad until he was 19, by which time he had been transferred to the King’s Own Yorkshire Light Infantry. He died of wounds on 28th September 1916, during the Somme Campaign. Go to next soldier: Johnson H.